We have dozens of beautiful parks located in the Seattle area available for picnic reservations. Our sites are perfect for birthday parties and social gatherings of all types and sizes. Maps of each reservable picnic park can be found below by clicking next to the park name. In order to reserve successfully, please carefully read the picnic brochure and application for instructions on scheduling, capacity and rules of the parks; then fill out and return the included Picnic Application to the contacts specificed on the application. Click on the park name below to see photos and a map of each picnic site. See more pictures of our reservable picnic sites on our Flickr page. We begin accepting lottery applications on the first business day in January through the last day of February. We process these in a random order in early March. Beginning March 1, applications are accepted via fax and email and processed in the order they are received after the lottery applications are processed. Beginning April 1, we also take applications in person and over the phone. See our brochure and application for more information about this process. Alcohol is prohibited in City parks, including all picnic areas. We are unable to offer you a refund for any reason once payment is made. Electricity and Water are not provided for picnic reservations. Amplified sound is not permitted in City of Seattle Parks. Parks that are not listed are first-come, first-served. 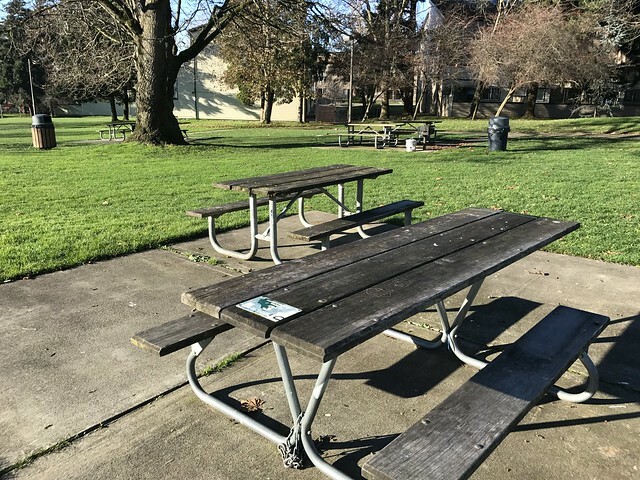 You are welcome to enjoy picnics at any Seattle park. Please note that events with bounce houses, canopies and catering can only be scheduled at one of our listed picnic parks. Whole Day 8:00 a.m. - 10:00 p.m.
* For half day pricing please refer the Picnic Brochure. All fees listed in the table below are for an all day shelter rental and do not include the additional cost of tables ($20 all day) that you may be required to rent, depending on your party size. The following map shows the city-wide locations for picnic sites. Click on a star for more info, or explore the map in a new tab here.